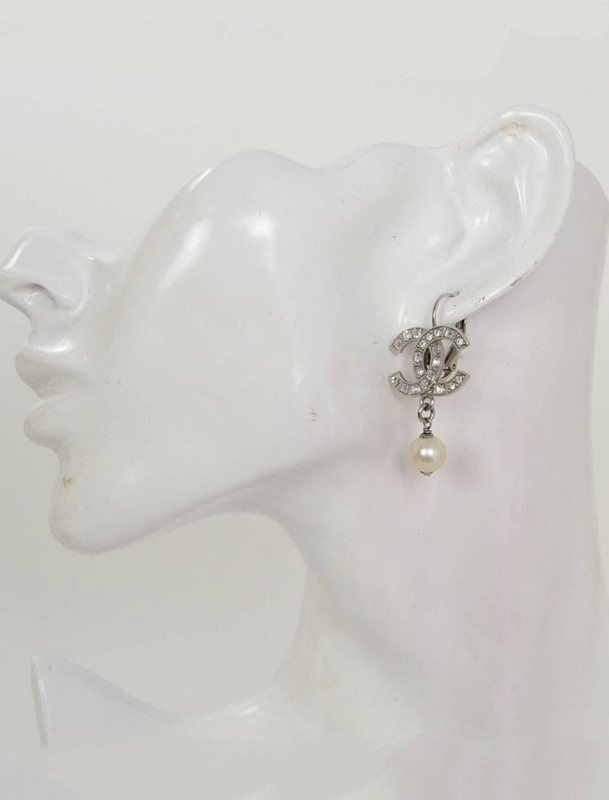 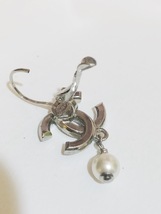 PLEASE NOTE SALE IS FOR ONE SINGLE EARRING INLY AS THE OFHER SIDE HAS BEEN MISPLACED. 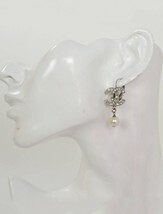 Decorated with ROUND and SQUARE clear and gray crystals, creating a gorgeous gradient color. 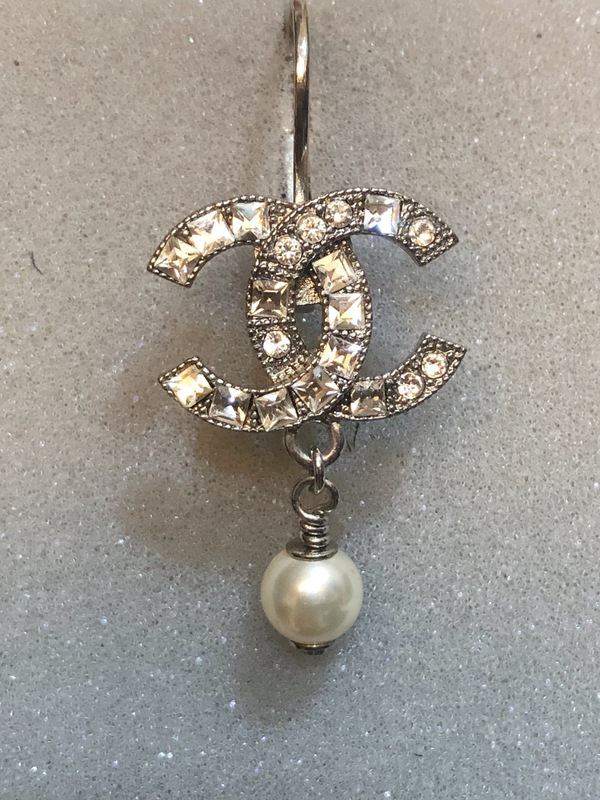 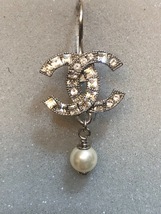 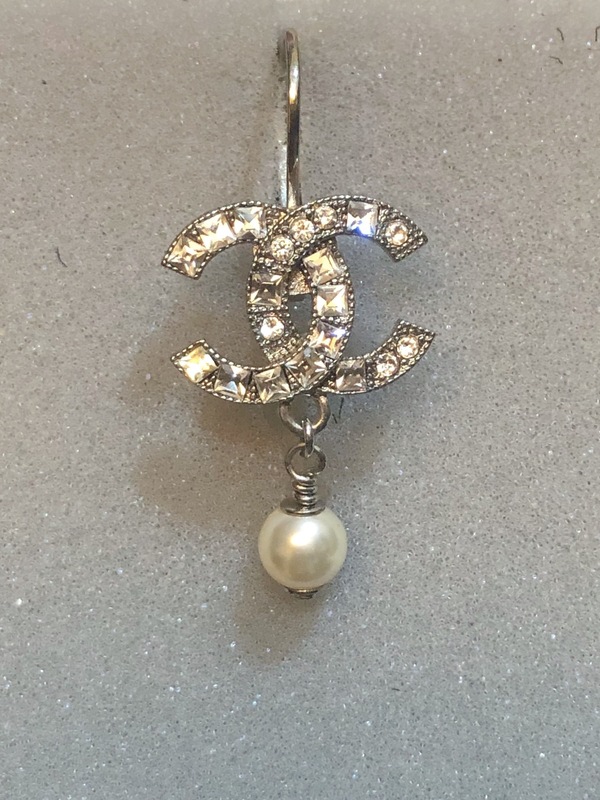 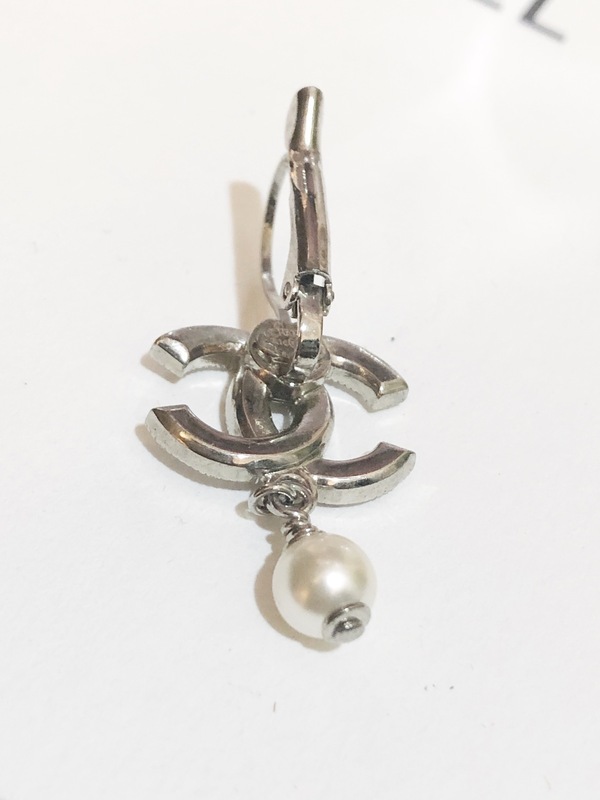 The elegant silver-color CHANEL signature double C logo (about 0.7" x 0.5") CHANEL earrings are also adorned with costume jewelry pearl drop (diameter about 0.35"). Total drop from top of silver color hardware to bottom of pearl is about 1.75". 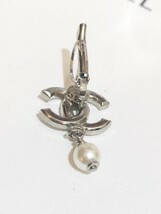 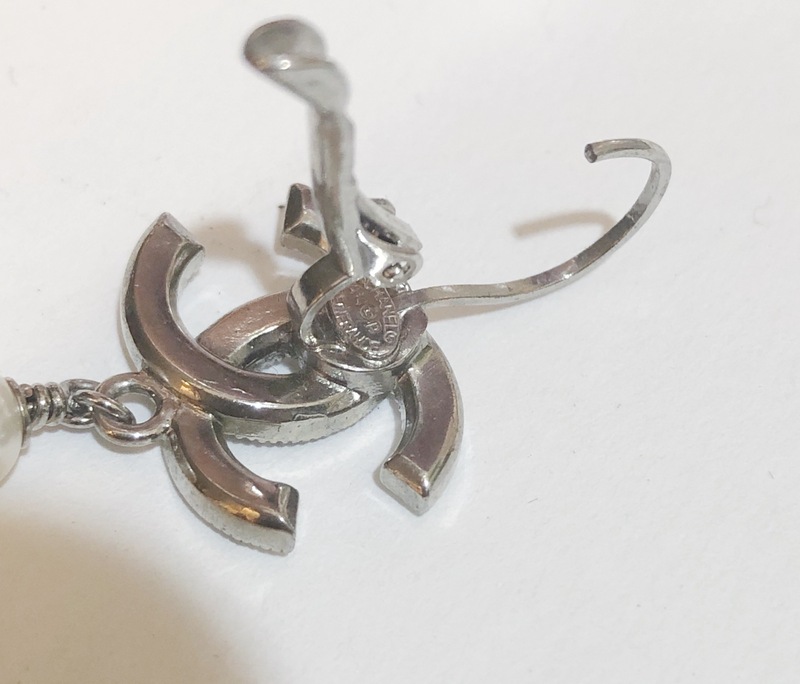 What a nice addition to your collection of Authentic CHANEL earrings. 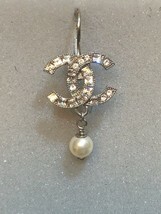 Condition: Excellent pre-owned condition Includes: Chanel box and dust bag Measurements: Length: 1.5"